Thread: New guy from VA! Coming along nicely! 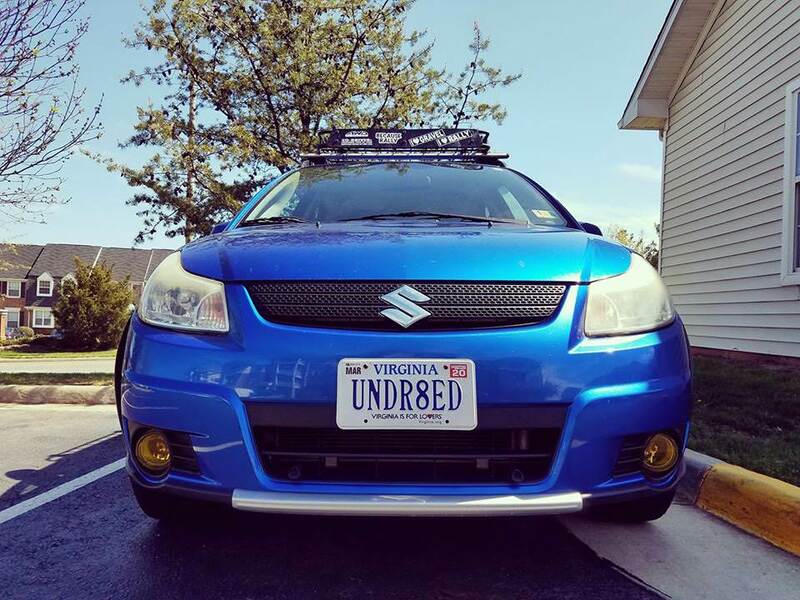 I'll actually be in Fairfax this weekend with my SX4 since the Evo is awaiting it's engine from the machine-shop. 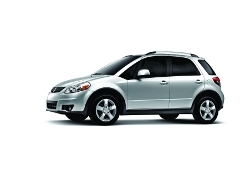 If you see a grey SX4 with an Evo sticker, give a honk! lol. Installed some Headlight Armor GT yellow foglight overlays this afternoon! Whereabouts in Fairfax? Have you ever taken your Evo to Moore Automotive? A few of my good friends work there. Very nice! I'm in VA, too. Great on back roads! I need to post some updated pictures soon. I've done quite a bit with the car since my last update. I'll try and upload some pics later today! I have a set of G-Plus coolant hoses in blue coming in later this week. (http://www.gplusmotor.com/) They're a Chinese silicon hose company. Oddly enough I couldn't find where they sold an SX4 kit on their website, but the eBay listing was an SX4 so we'll see what happens....lol. I didn't pay much for them so if they turnout to be for a different car I won't be too blown. I'm also ordering a set of wheels this Friday! Once I get the new wheels i'll update this thread with some new pics, so stay tuned. I absolutely love this look and is exactly what I am looking for on mine! Any updated pics - especially with the spacers?